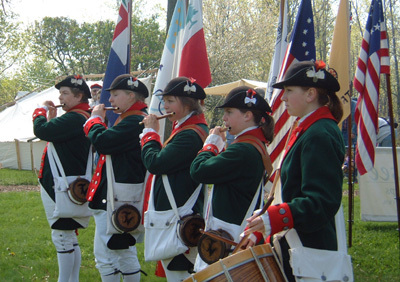 Accompanied by color guard and camp followers, our musicians entertain parade-goers with 18th-century field music. Muskets firing en route is a real crowd pleaser! Let a small, select group of our musicians kick-off your event in true patriotic fashion. Ideal for flag-raising ceremonies, convention openings, etc. 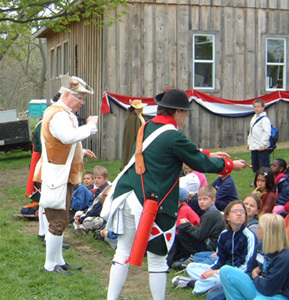 Learn more about the flags, clothing, weaponry, musical instruments and lifestyles of the Colonial musician, soldier and camp follower.